All Green Recycling provides environmentally-friendly ways to help the Kerman community reduce, reuse, and recycle old mobile phones, laptops, and computers. Protect the environment and the community from harmful substances. Trust us to provide you with reliable and convenient electronics recycling services to keep you and your surroundings safe from toxic e-waste. We will take care of packaging, transporting, and disposing of your obsolete electronics and IT equipment. Guaranteed secure and hassle-free disposal processes are available at your fingertips - contact us now. You don’t have to worry about data breaches or identity theft when you entrust your electronics recycling to us. We utilize state-of-the-art technology to render any residual data on your devices irrecoverable. If you have assets that need to be physically shredded or crushed for safety and security reasons, we have the right solutions for you. Destroy your defective equipment/products, not your reputation. According to the US EPA, Americans generated an estimated 3.36 million tons of consumer electronic waste products in 2014. Of this, it is estimated that only 1.4 million tons or 41.7% were recycled, which begs the question – what happened to the majority of the waste and the harmful substances that they contain? The lack of a clear answer poses a potential threat to the health of the environment and the communities where we live. At All Green Recycling, we eliminate the guess-work and provide transparent solutions. Our certified recycling facility is ready to provide the best Electronics Recycling Kerman Services. 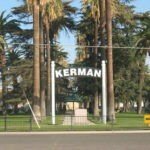 Kerman in California firmly espouses the motto that “Community Comes First.” The city emphasizes the quality of life of its residents and provides numerous programs and services to ensure that it remains to be a safe place to live, work, and play in. It is home to over 47 acres of developed parks and offers several recreational activities for the enjoyment of its citizens. The city also aims to be a place where business thrives, encouraging economic development through the housing, retail, and industrial opportunities. We are a certified R2/RIOS Recycler facility, and we aim to provide safe and secure electronics recycling services to our clients. We have over 300 locations throughout the state of California where you can use our convenient drop-off for your old mobile phones, laptops, computers, and other electronic devices. Or you can contact us to request for e-waste pickup, and we’ll handle the packaging and transport for a hassle-free process. With the use of our online Client Portal, you can track the progress of your assets in real-time, from the moment they come into our custody up to their final disposition. 100% of all materials that enter our facility get recycled. You can be assured that your old gadgets and IT equipment, even the packaging that they came in with, will be processed in an environmental-friendly manner. We do not use incinerators. We do not dump in landfills. And we do not ship e-junk out to other nations. We have the best technology and methods in place to guarantee that our processes will not have a negative impact on the environment and the community where we operate. Find out more about our Electronics Recycling Kerman Services. Contact us now, and we will be happy to assist you to reduce, reuse, and recycle.